We've barely scratched the surface of the Mardi Gras parade season, yet it's already time to start thinking about the Patrick's Day celebrations that follow right on the heels of Fat Tuesday. In New Orleans, that means even more parades, more beer, and as of last year, brand new races. 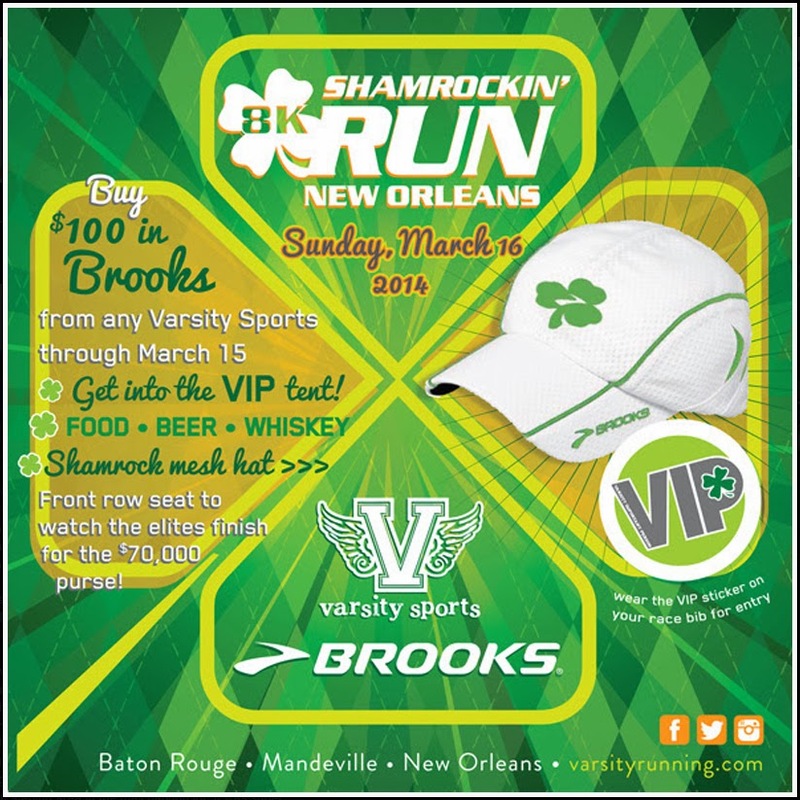 For 2014, NOLA runners will have options when it comes to choosing a St. Paddy's race in which to participate. On March 16th, the return of a very successful event will bring some of the best runners in the world to town, while a new event on that same day offers a shorter distance perfect for runners looking to qualify for spring classics. The new addition to the St. Patrick's race repertoire is put on by one of the most established organizations in the city. The Crescent City Classic's St. Patrick's Day Classic is a 2 mile Sunday morning run that precedes the Irish Parade on Metairie Road. It's a point to point course that also serves as the fastest qualifier race for the Crescent City Classic 10K several weeks later. There's guaranteed support along the route as thousands of locals will already be on the streets waiting to catch cabbage and carrots from the parade that follows. What's disappointing about these two events is that they are scheduled on the same day at opposite ends of the city. Both races have a lot to offer, and unfortunately the running community is going to be forced to divide and conquer. Since the start times are a couple hours apart, there certainly will be some overachievers who organize a group to head from the finish of one to the start of the other. 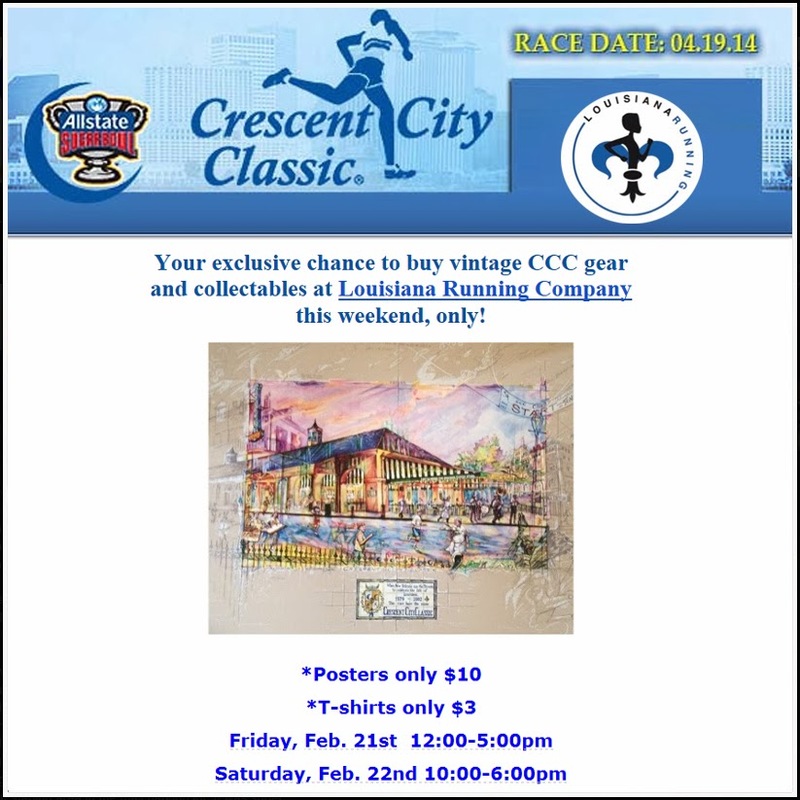 Speaking of the Crescent City Classic, this weekend they are hosting a blowout sale of previous years' posters and shirts at a drastically discounted price. At $10 a piece, I'm tempted to load up on prints that aren't part of my collection. See the image to the left for sale hours at the Louisiana Running Company. I think I'm going to plan on the Shamrockin' 8K again this year. I had so much fun last year and we all know the swag bags were the BEST. Will you be doing one (or both) of these races? I liked the Shamrockin' Run last year, Katherine. And yes, the swag was the best! I'd also like to see the elite field compete in Audubon Park. However, the new CCC race is enticing, and a 2 mile course is the best chance for me to maintain the 7 min/mile pace to seed for the 10K. I guess we'll see which one I settle on as race day approaches. Doing both would be tough.